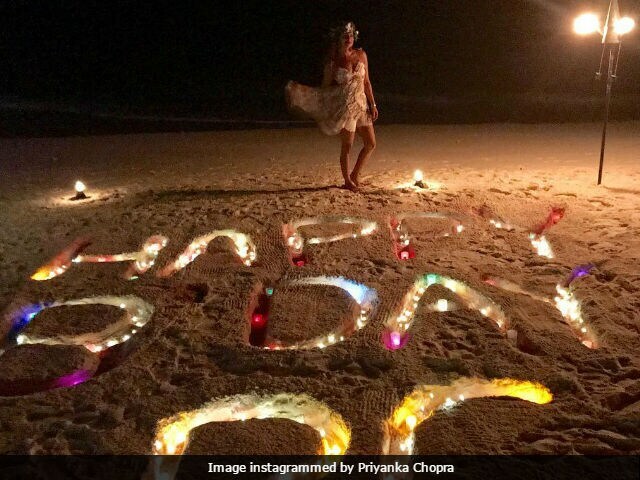 Actress Priyanka Chopra, who celebrated her 35th birthday on July 18, has been individually thanking everyone on social media. Today, the actress shared a video on her Instagram account which features her co-stars Rebel Wilson, Adam DeVine and director Todd Strauss-Schulson from her third Hollywood venture Isn't It Romantic. In the short video, the team is seen singing the birthday song for Priyanka. "Thank you to my Romantics ! @rebelwilson @andybovine @straussschulson Gina and the whole team! Means so much. Back to you soon," wrote the Don actress. Priyanka is currently on a vacation with her mother Madhu and brother Siddharth. Priyanka Chopra has been keeping her fans and followers updated on social media by sharing various pictures from 'The Chopra Vacation.' However, the pictures do not disclose the location she has been holidaying in. On Wednesday, the Krrish actress shared a picture which has us all wondering about her next destination. The pictures from Priyanka's travel diaries are sure to make you jealous. Thank you @madhuchopra for the lovely surprise! Priyanka Chopra made her Hollywood debut this year with Seth Gordon's Baywatch, co-starring Dwayne 'The Rock' Johnson and Zac Efron. Apart from Isn't It Romantic, Priyanka Chopra is also shooting for her second Hollywood project A Kid Like Jake. After her vacation, Priyanka will reportedly also begin shooting for American television show Quantico, in which she portrays the role of FBI recruit, Alex Parrish. Priyanka's next Bollywood venture will reportedly be Sanjay Leela Bhansali's Gustakhiyan, in which she will be portraying the role of writer-poetess Amrita Pritam.